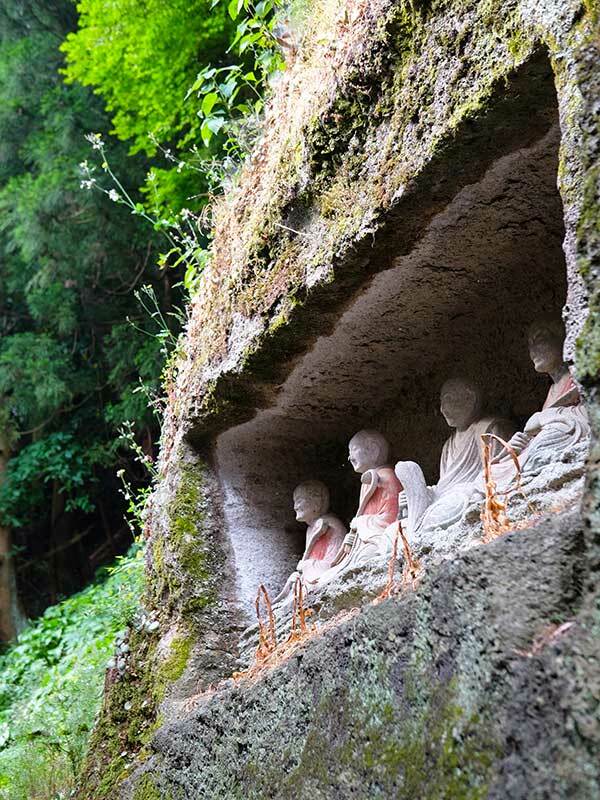 An easy to moderate walking tour exploring mystical and beautiful Yamaguchi and Shimane Prefectures. 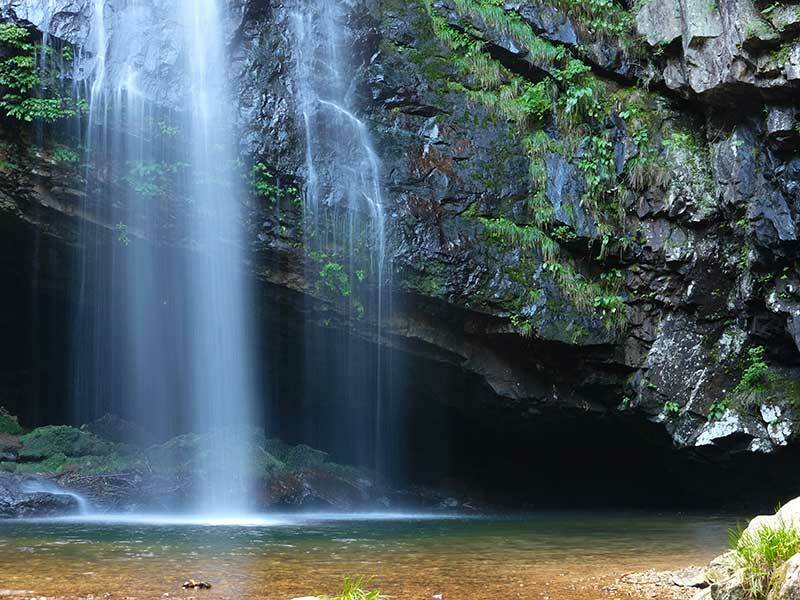 Another pioneering guided walking tour to the San’in region in west Honshu aside the Sea of Japan. From verdant countryside to rugged coast exploring ancient paths, historic castle towns, a silver mine, picturesque villages, and mystical shrines. Traditional inns with onsen hot spring baths complemented with fabulous regional cuisine. March - June & September - November. The San’in Quest is a fully-guided tour suitable for anyone who can walk for four hours or more in comfort. The route is mainly on paved surfaces but includes uneven paths and some steeper climbs. Please read more on Tour Levels here. 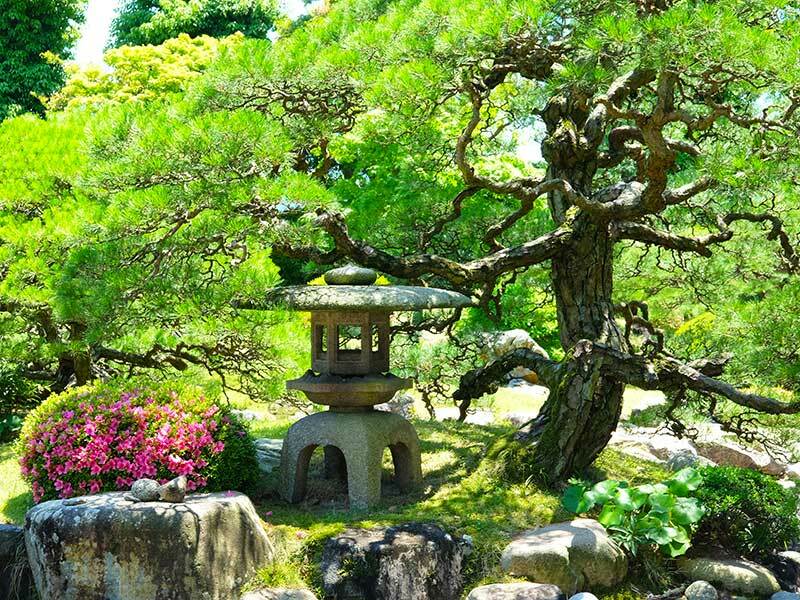 A 9-day, 8-night tour starting in Yamaguchi and finishing in Hiroshima. Tour accommodation is mostly in Japanese inns. The small, intimate nature of the inns makes the maximum group size 12 persons. We have no minimum group size. If we accept a booking, we guarantee to run the tour. 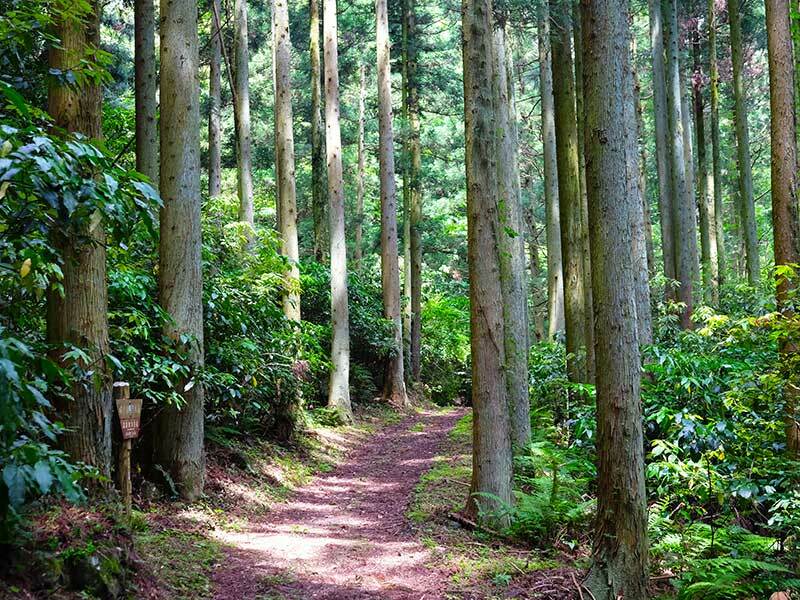 The San’in Quest is a fully-guided walking tour through the beautiful, mystical region found in the far west of Honshu, Japan’s main island. An archaic land intimately connected with the enthralling legends that surround Japan’s creation, the deeply rural, mountainous San’in region, delineated to the north by the rugged Sea of Japan coast, is, today, one of the least populous, more remote, and less-explored areas of the country. The San’in Quest tour begins in graceful Yamaguchi, a city that in the 16th Century briefly rivalled Kyoto in pomp and power while also becoming a centre for Jesuit missionaries. From here we roam through myriad and fascinating layers of Japanese history and the San’in’s tranquil, almost primordial landscape, back in time to the nation’s origins at Izumo Taisha shrine, before ending our tour in Hiroshima. 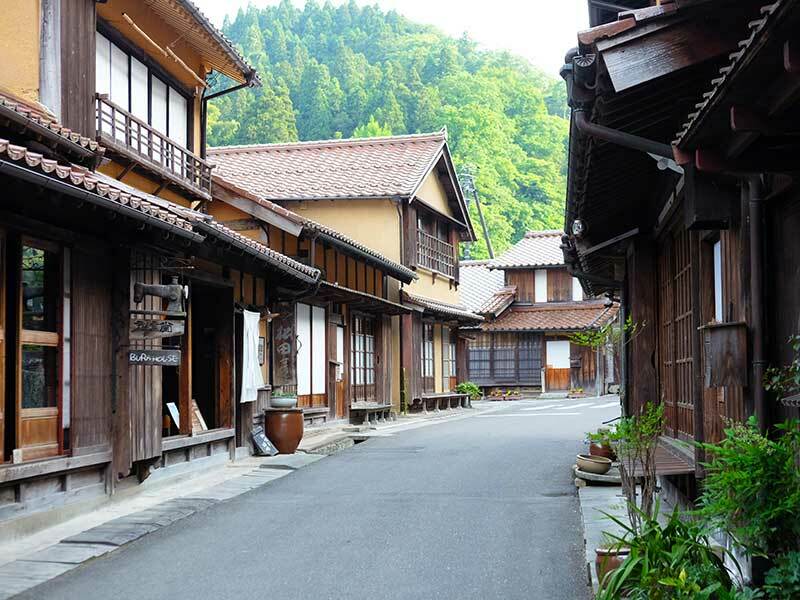 En route, we explore old byways, once walked by samurai and commoner alike, and delightful villages that, long overlooked by modern Japan, retain a charming atmosphere of ages past. We savour the legacy of the ruling, local samurai clans whose cultural influence lingers on in a splendid five-storied pagoda, tranquil rock garden, and magnificent castle ruins overlooking the ocean. We visit charming post-towns that once provided lodging for travellers on ancient highways; onsen hot springs, which famed for their therapeutic powers, have been a source of comfort and respite over the millennia; and the UNESCO-registered Iwami Ginzan, which in the 16th Century was one of the world’s largest silver mines and much sought after by intrepid Chinese and European adventurers of the day. 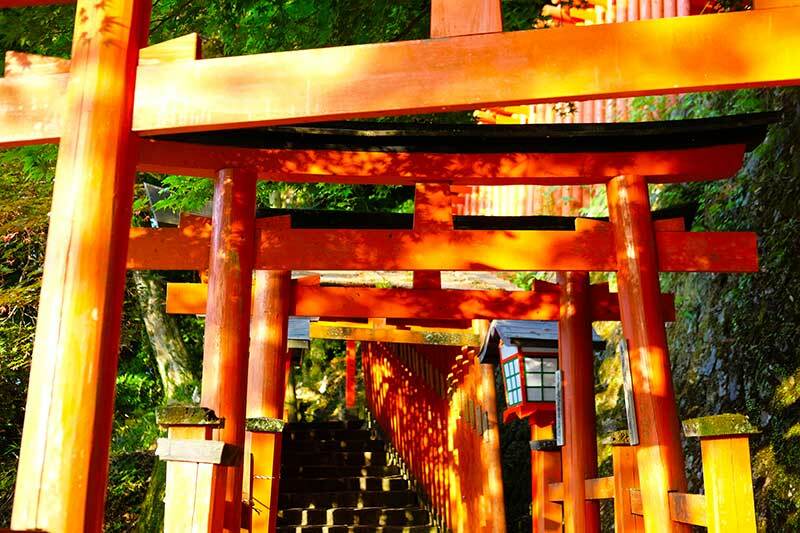 The distinctive vermilion torii gates of Shinto shrines, large and small, that dot the San’in landscape of thick forested mountains, paddy fields, and sea-hewn coast, are vivid reminders of the divinities that the region spawned and celebrated. These in their turn lead us to Izumo Taisha, one of the shrines at the very core of Shinto. 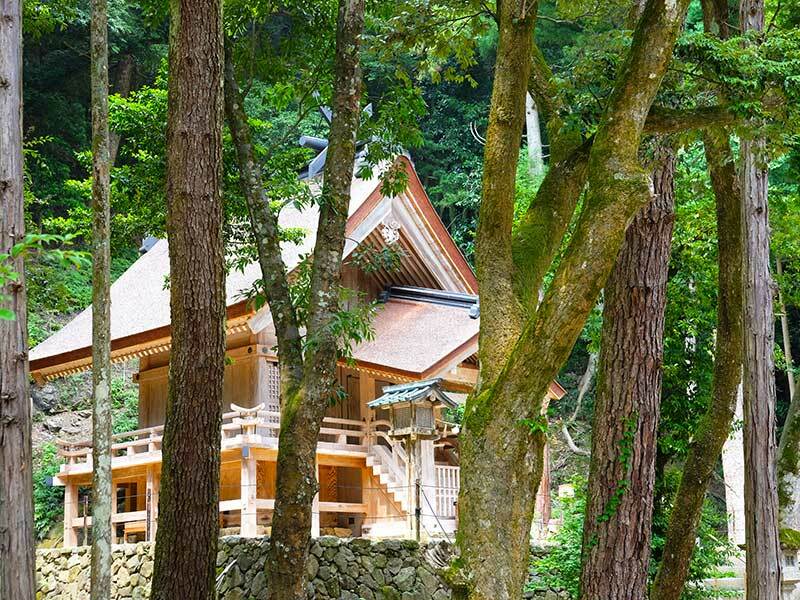 It stands apart in its austere, grandness of bare wood and bark roof construction, an allusion to the sacred auspiciousness bestowed on it by Amaterasu, Japan’s sun goddess. At Matsue, another graceful, regional city like Yamaguchi, we seek out Lafcadio Hearn, an itinerant writer from the West who briefly found a home here in the 1890’s. Inspired by the mysticism of the region he penned his well-known tales based on the legends and ghost stories of Japan. Weather willing, here we also enjoy the same magnificent sunsets that left Hearn enraptured with the city. 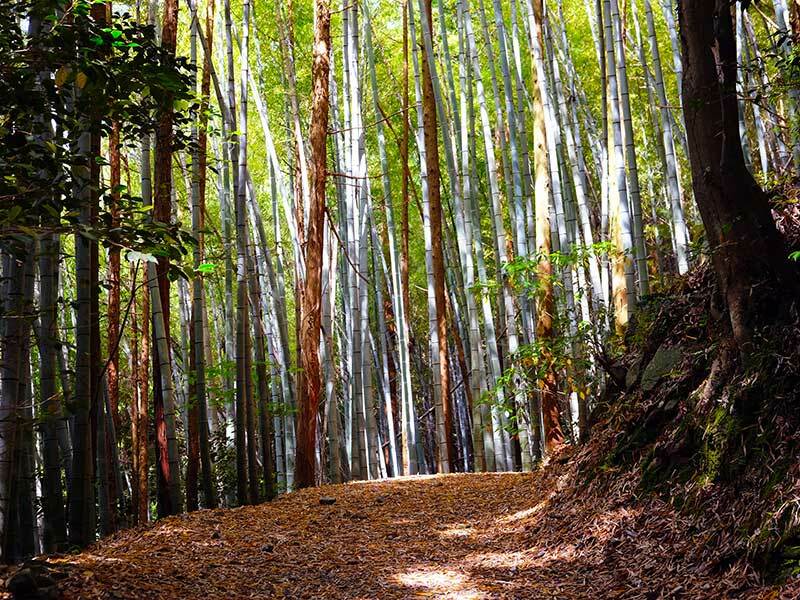 At Oku-Izumo, in the mountainous heart of the San’in region, we explore a beautiful and remote forested region that once had at its economic core tatara, Japan’s traditional steel-making industry. For nearly 1,000 years, the metals produced here were wrought into the swords that came to define the samurai and much of the history of Japan. Finally, we close our tour in Hiroshima, a modern, vibrant and lively city with an ethos of peace that in many ways now epitomises modern Japanese life. The Walk Japan Tour Leader meets the group at 1.30pm at Shin-Yamaguchi Station, which is easily reached from many major cities in Japan on the super-fast Shinkansen bullet train. From here on, however, we enjoy the whole tour together at a significantly more leisurely and relaxed pace. Our accommodation is principally in traditional inns, some with onsen hot spring baths and our meals are a celebration of the fruits, from both the land and seas, of this fertile region. 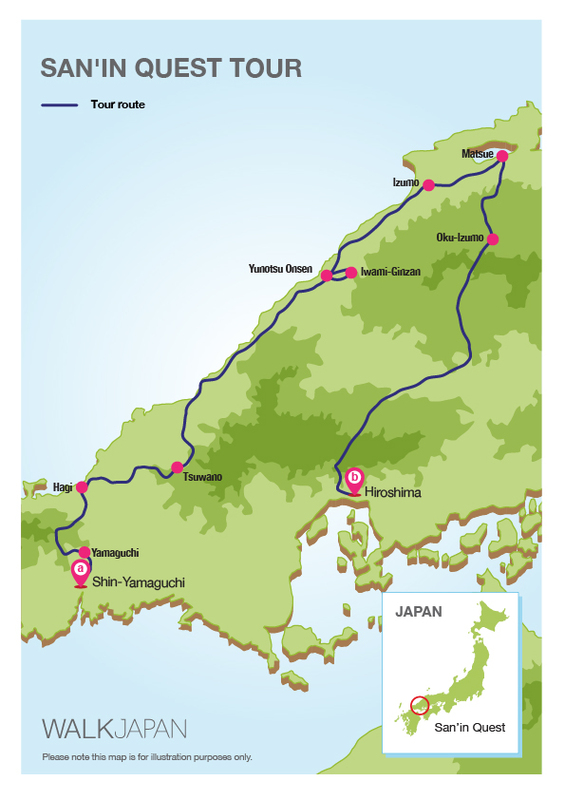 The San’in tour is ground-only, beginning at Shin-Yamaguchi Station and ending in Hiroshima. Prior to the tour, Walk Japan will provide detailed instructions for travelling to the meeting point at Shin-Yamaguchi from Tokyo’s Narita and Haneda Airports, Osaka’s Kansai Airport, Fukuoka Airport and Hiroshima Airport. Please note that travel by rail from Hiroshima to Narita Airport is approximately 5.5 hours, to Haneda 4.75 hours, to Kansai 2.5 hours, and to Fukuoka 1.75 hours. Travel to Hiroshima Airport is 45 minutes by express bus. The Walk Japan Tour Leader awaits everyone’s arrival to the tour after lunch at 1:30pm in Shin-Yamaguchi, a station on Japan’s famed high-speed Shinkansen bullet train network. From here on, however, our travels together for the tour progress at a much more sedate pace, firstly on a local train for the short journey to Yamaguchi. 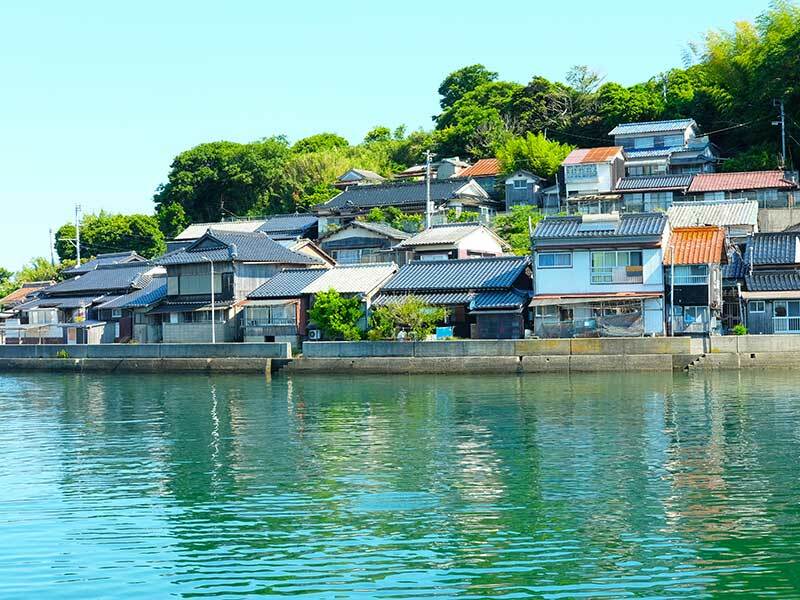 Today, an elegant regional city surrounded by verdant countryside, Yamaguchi was once the seat of the samurai Ouchi Clan, which ruled west Japan for most of the Muromachi Period (1336-1573). The clan amassed great wealth through trade with Korea and the Ming Dynasty (1368-1644) of China and invested much of this in richly embellishing their town. By the 16th Century Yamaguchi rivalled Kyoto, then the war-riven capital, and was attracting noble families fleeing the internecine strife there. 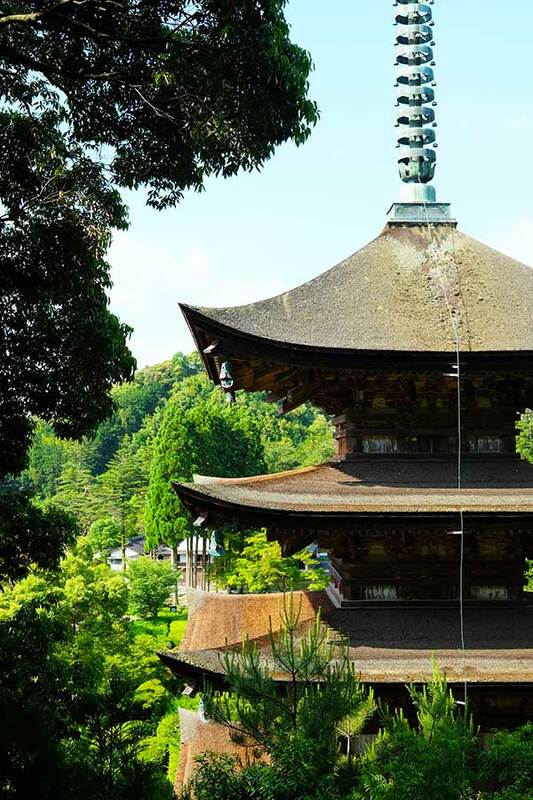 We stroll through Yamaguchi’s pleasant streets and explore some of the treasures left by the old ruling elite including Ruriko-ji, a temple known throughout Japan for its handsome five-storied pagoda, and the classic temple gardens at Joei-ji. We also visit a modern church dedicated to St. Francis Xavier, the Jesuit missionary who brought Christianity to Japan in the mid-16th Century. Confounded by the turmoil he found in Kyoto, Xavier retreated to Yamaguchi in order to pursue his calling. A local bus transfers us to Yuda Onsen, a nearby hot spring town where we stay for the next two nights in a Japanese inn. A luxurious soak in the therapeutic waters precedes the first of many exquisite Japanese meals we enjoy over the coming days together. The tour briefing is provided by the tour leader as our multi-course meal unfolds before our eyes. Accommodation: Onsen thermal hot spring resort. Total walking: 3.5km (2.2 miles) / 1.5 hours. After breakfast in our accommodation we first venture to the shops to buy supplies for a picnic lunch later on. We board a local bus for a gentle journey through rural countryside dotted with houses covered in the distinctive red roof tiles common to the region. Our destination is Akiyoshidai, a vast 130km2 karst plateau, where limestone rock has been weathered over millennia to create an impressive, rocky landscape. We explore this otherworldly scenery, strewn with limestone rocks and devoid of much else except a few stunted trees, on foot. Our route undulates mildy and along the way beneath vast skies we stop for a picnic lunch. 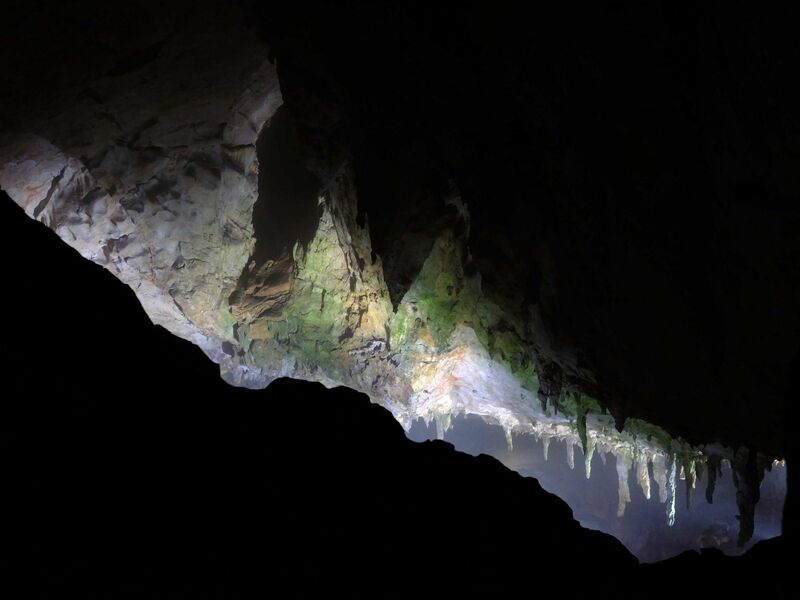 We also venture below ground into Akiyoshido, a vast limestone cave replete with underground waterfalls, pool terraces, towering stalactites and stalagmites, and a cobalt blue stream running aside our subterranean trail. We stop by a homemade ice cream parlour to relax before boarding the bus for our journey back to Yuda Onsen. After refreshing ourselves in the baths we eat dinner at an izakaya, an informal and popular-style of restaurant where the varied menu caters to everyone’s tastes. Yamaguchi Prefecture is known for its stimulating fugu puffer fish, which the more adventurous may like to sample when in season. Accommodation: Japanese inn with onsen thermal hot spring baths. Meals: Breakfast & dinner provided. Total walking: 11.8 km (7.3 miles) / 4 hours. Total elevation gain: 281m (922ft). After breakfast a private-hire vehicle takes us deep into the countryside. 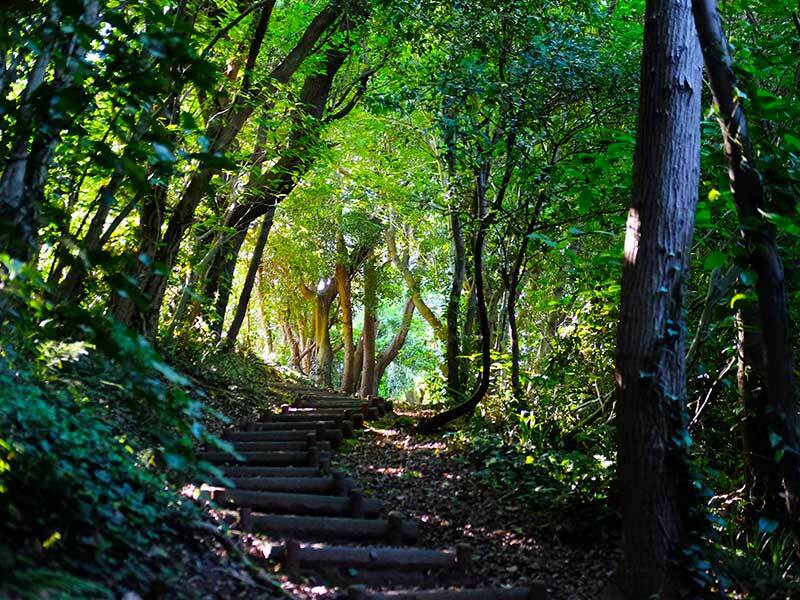 We are headed to Sasanami, a village and the start of today’s walk along the Hagi Oukan, an ancient thoroughfare that ran between Hagi and Mitajiri connecting the Sea of Japan with the Seto Inland Sea. 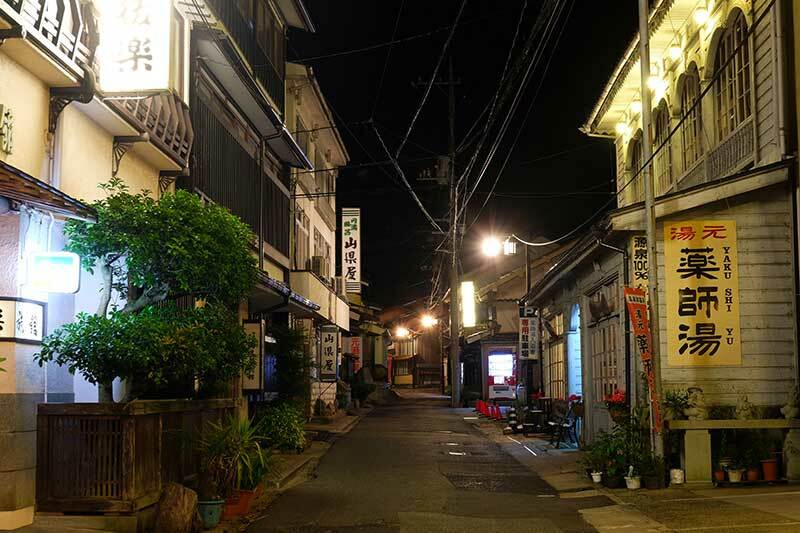 Today a forgotten backwater, Sasanami has an air of past-glories and retains a picturesque, if slightly forlorn, charm. However, in the Edo Period (1603-1868) it was a prosperous post town, providing lodging for travellers on the old road. We follow in their footsteps, walking this once busy highway turned rural trail through forests, over stretches of ishidatami stone paving, through hamlets and past rice paddies. By lunchtime, we reach Akiragi, another former post town. The town was razed by fire in the late 19th Century and rebuilt in the style of the day - providing an interesting contrast to Sasanami. We stop at a local grocery store to buy a picnic, which we eat in a shady spot on the banks of Akiragi’s gently flowing river. We have spent much of the morning walking uphill. 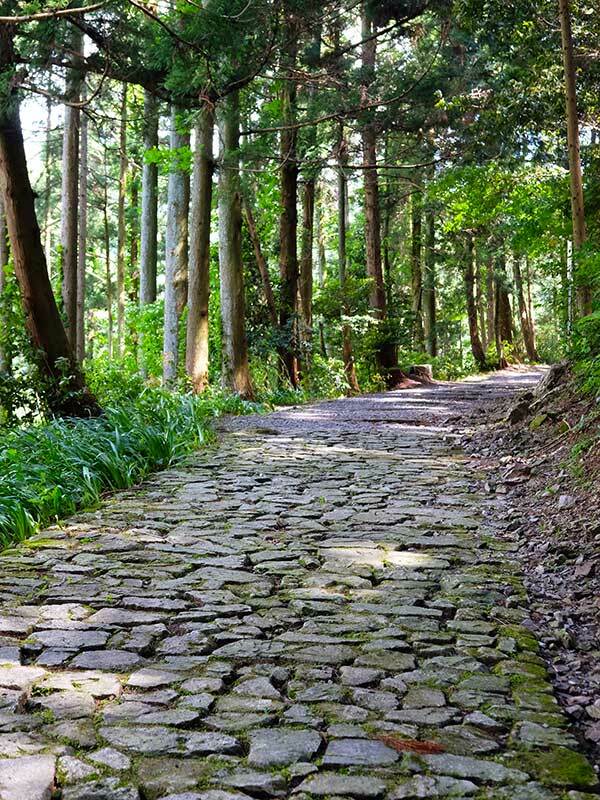 This afternoon, however, is a downhill stroll, the highlight of which is a long stretch of beautifully maintained ishidatami. The locals take especial care of their paved section of the old road, and through their efforts the overwhelming feeling here is of walking through times past. We end our walk in Hagi, a former castle town known for its historic townscape and Hagi-yaki, the distinctively styled local pottery. Tonight, we stay at another inn, which also has the luxury of onsen baths, aside the Sea of Japan, from which our dinner, a feast of seafood, has been freshly brought ashore. Total walking: 15.9 km (9.8 miles) / 6 hours. Total elevation gain: 493m (1617ft). Today, after a hearty breakfast we set out on foot to nearby Mt. Kasayama, which, at only 112 metres high, ranks as Japan’s smallest volcano. A gently inclining path leads us through forests to a viewing deck aside the long-dormant crater at its peak. Here expansive and spectacular views lead out over the rugged coastline to the deep blue waters of the Sea of Japan. We walk down to the shoreline before stopping at Myojin-ike, a large tidal pond fed by both seawater and fresh water. 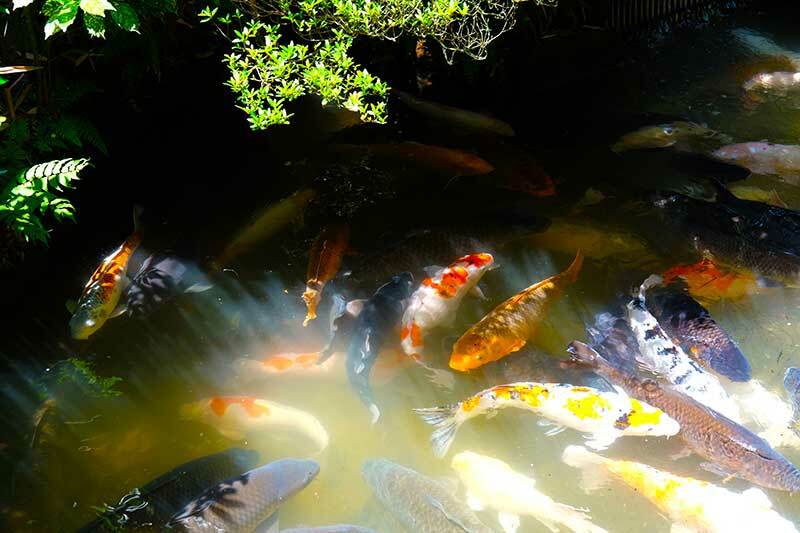 Given protected status since 1924, Myojin-ike is a sanctuary for the fish that flourish within. An ancient Shinto shrine on its banks adds to the air of placidity, broken only by the occasional eagle swooping down on an unsuspecting aquatic resident. We return by bus to Hagi for lunch and to explore the samurai quarter, which has a pleasant Edo Period charm. 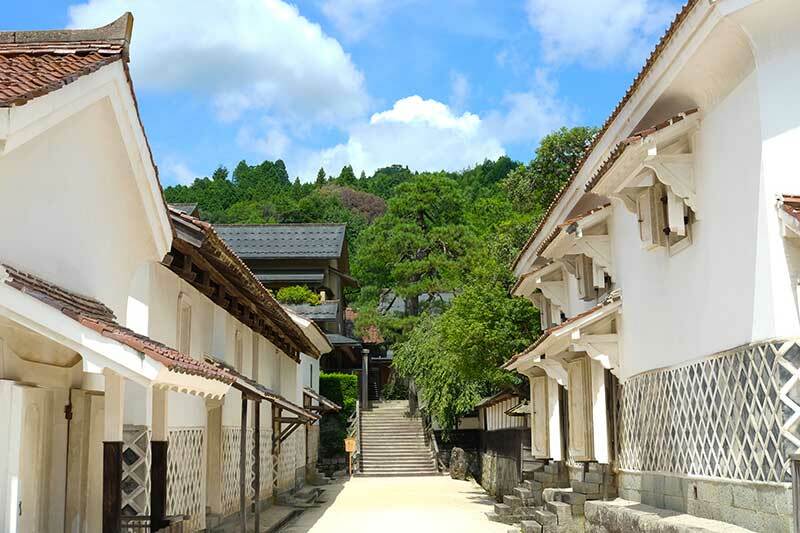 Over the years Hagi has been fortunate to largely escape damage from war or natural disaster, and the layout and structure of this old district are virtually unchanged from the days when warriors dominated the nation. 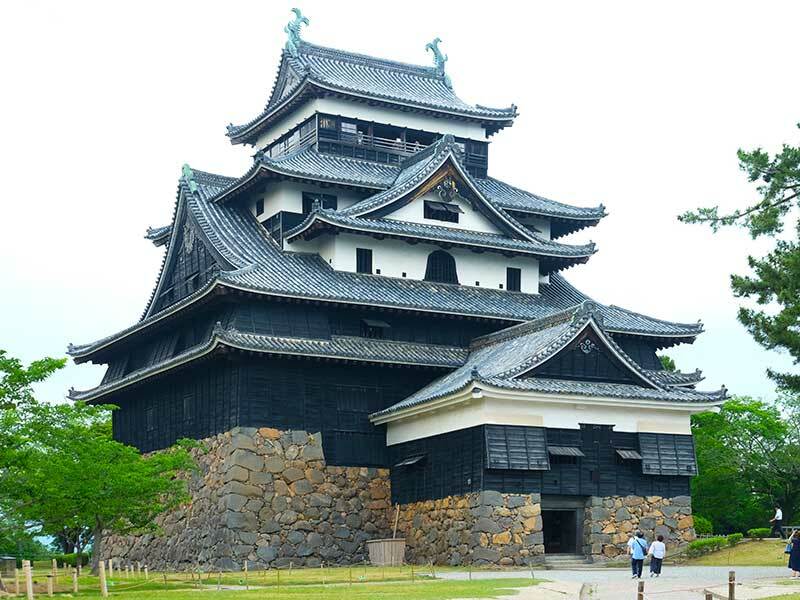 We also stroll through the remains of Hagi Castle, which was once the centre of power of the samurai Mori Clan, who had wrested control of west Japan after the demise of the Ouchi Clan in Yamaguchi. Although the main structures have long gone, the ramparts remain and attest to the impressiveness of the castle sited strategically on the coast and also to the power of the Mori. Prior to the Edo Period (1603~1868), the clan controlled a large area of western Japan that extended across modern-day Yamaguchi and Hiroshima Prefectures. Unfortunately for them, however, they fought and lost against the Tokugawa Clan at the pivotal Battle of Sekigahara in 1600. In retribution, their domain was subsequently shrunk to an area only covering modern-day Hagi. We leave Yamaguchi by bus for Shimane Prefecture and the town of Tsuwano, where we stay the night. 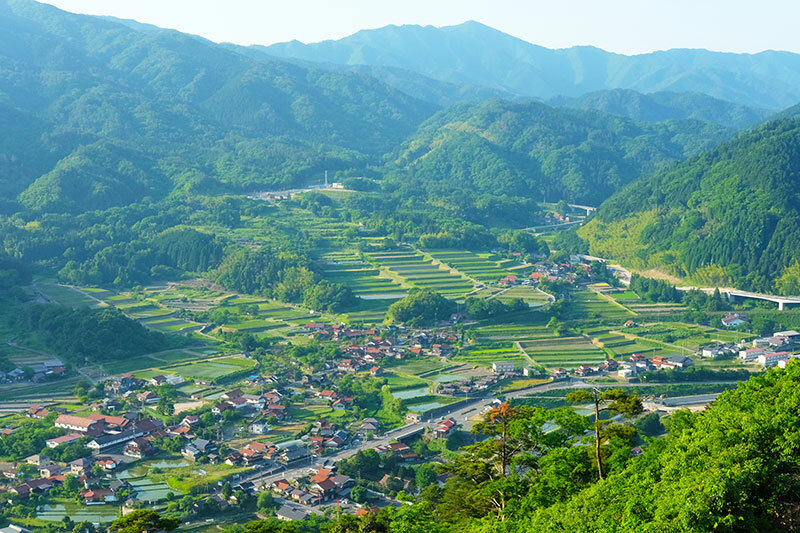 Often referred to in Japan as ‘Little Kyoto’, Tsuwano is a bucolically charming, rural town that most definitely lives up to its popular appellation. Tonomachi, the main street, is lined on both sides with Edo-era buildings and streams, in which brightly-coloured koi carp leisurely swim to and fro. We wander the old streets soaking up the atmosphere before retiring to our inn for a refreshing bath and dinner. Meals: Breakfast, lunch & dinner provided. Total walking: 4.9 km (3 miles) / 3 hours. Total elevation gain: 98m (322ft). 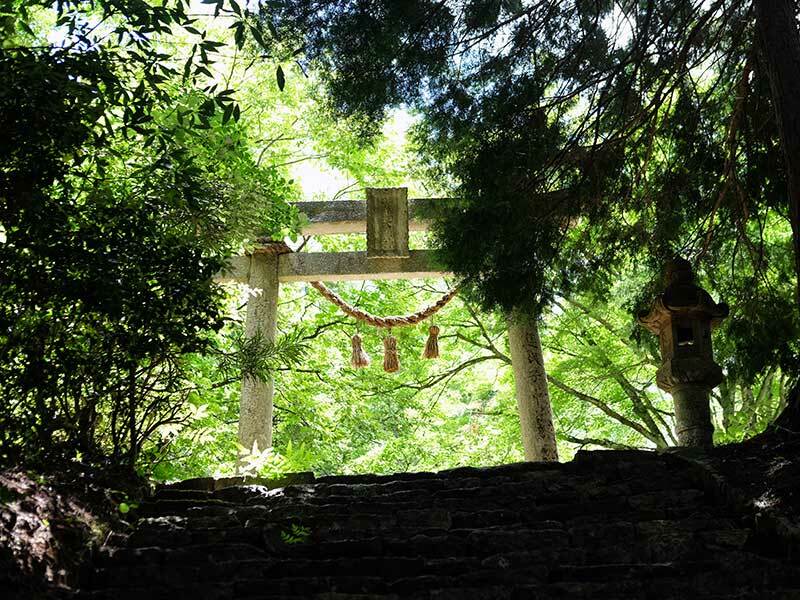 We start today’s walk from our inn, with a climb up through a tunnel composed of approximately one thousand vermilion torii gates to Taikodani Inari Jinja, a Shinto shrine where petitioners pray for a plentiful harvest, whether of agriculture or businesses at large. Not surprisingly given their important economic role, inari shrines are by far the most common in Japan, and Taikodani is one of the most impressive. Its myriad torii gates and sumptuous halls attest to the money invested in the pursuit of greater gains. 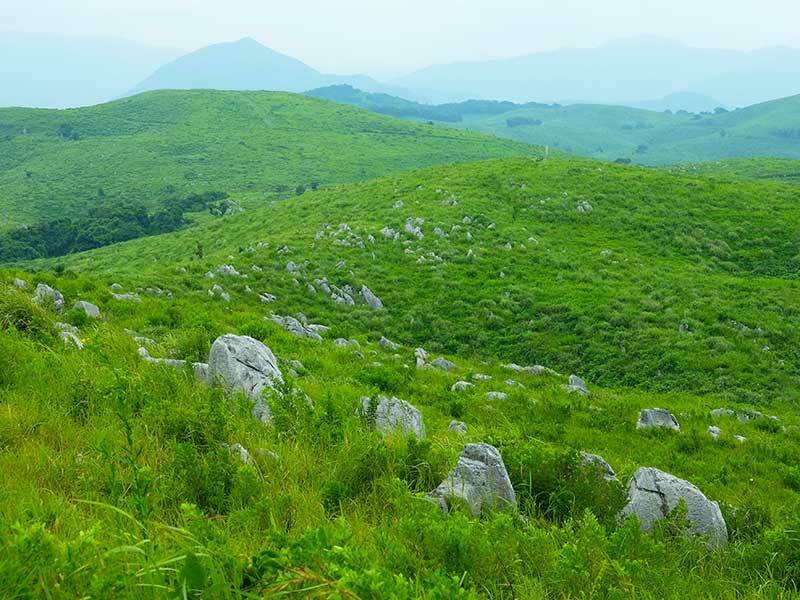 From here we continue our walk uphill to the ruins of Tsuwano Castle, for dramatic views from the stone ramparts across the mountainous surrounding countryside. A steep downhill path leads us past another shrine back to Tsuwano, where we have time for lunch and to further explore the delightful traditional streetscape. Three sake breweries are popular destinations, as are the many art galleries, craft shops and historic buildings. 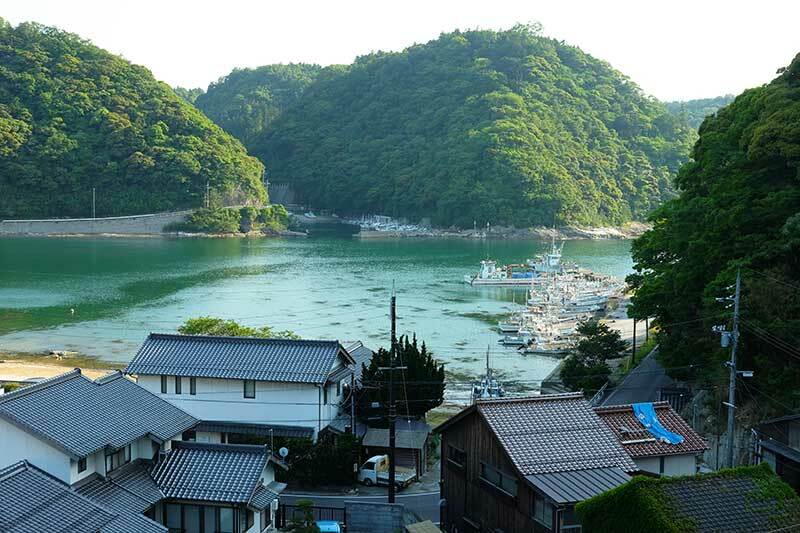 A series of three trains takes us from deep in the mountains back to the Sea of Japan coast and finally Yunotsu Onsen, an old-fashioned onsen and harbour town. We stay here for two nights and on our first evening we eat dinner, another delicious event, in our accommodation. Our inn has wonderful onsen baths but we also recommend venturing to the town’s two public hot springs, Motoyu and Yakushiyu, during our stay. Both are known for their therapeutic benefits. 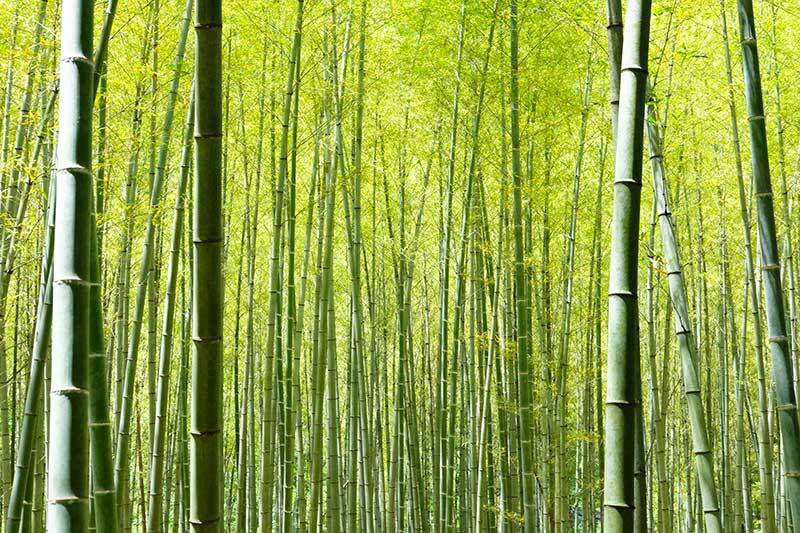 Legend has it that the former was discovered over 1,300 years ago by a Buddhist priest who noticed a raccoon bathing its injured paw in the spring and deduced that it must be a good thing. 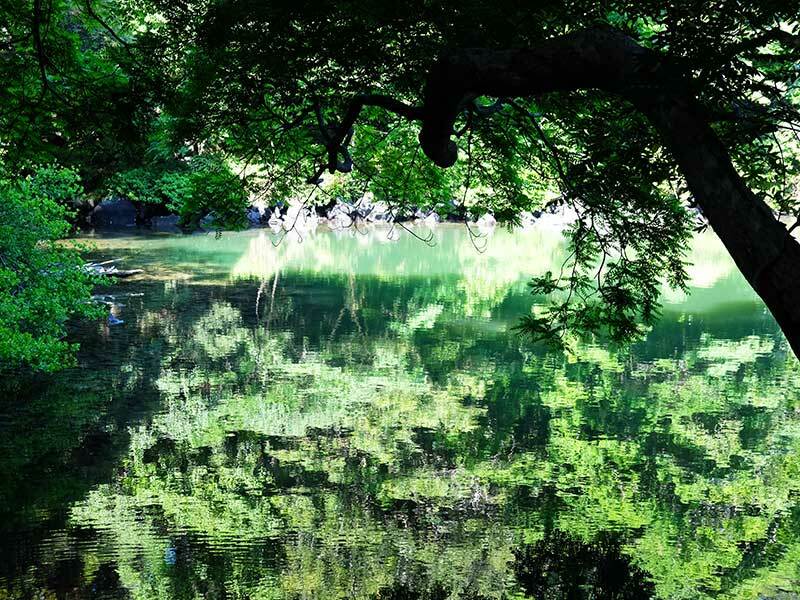 Although Yakushiyu, which sprung forth after an earthquake 240 years ago, has a more recent lineage it takes top billing as one of the best hot springs in Japan. Apparently, its mineral rich waters have the power to cure many ailments. The appealing retro character of the buildings housing both these springs only adds to the enjoyment of relaxing in them. Total walking: 6.6 km (4.1 miles) / 3.5 hours. Total elevation gain: 203m (666ft). This morning an early start for transfer by private-hire vehicle to Omori, the town that once served Iwami Ginzan, the silver mine that was at the epicentre of a rush on the precious metal in Japan during the 16th and 17th Centuries. 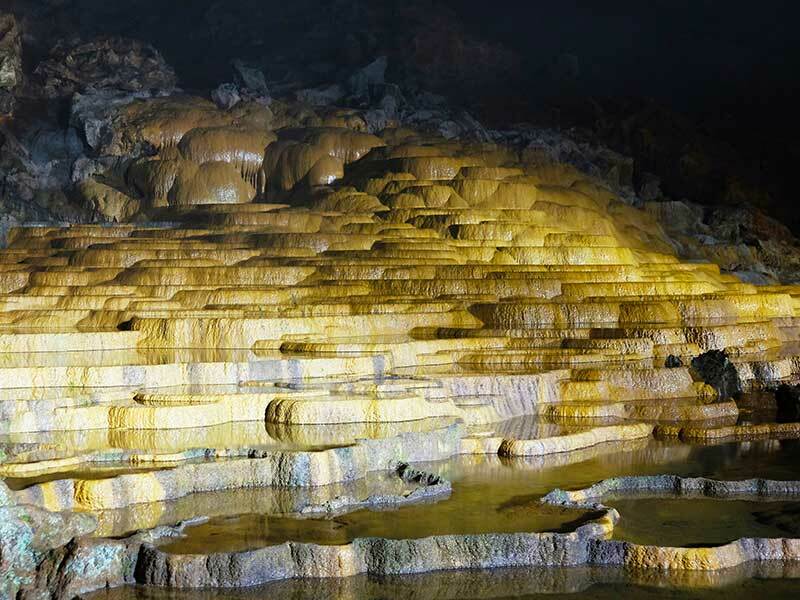 Today, the mine is at the centre of a UNESCO World Heritage site that also encompasses Yunotsu and Omori. Before Japan was closed to the world in the Edo Period, up to one third of silver traded in the global market came from Japan and the bulk of that from this small area. So important was it in the minds of Europeans that it was often one of only two or three places indicated on their maps of Japan. 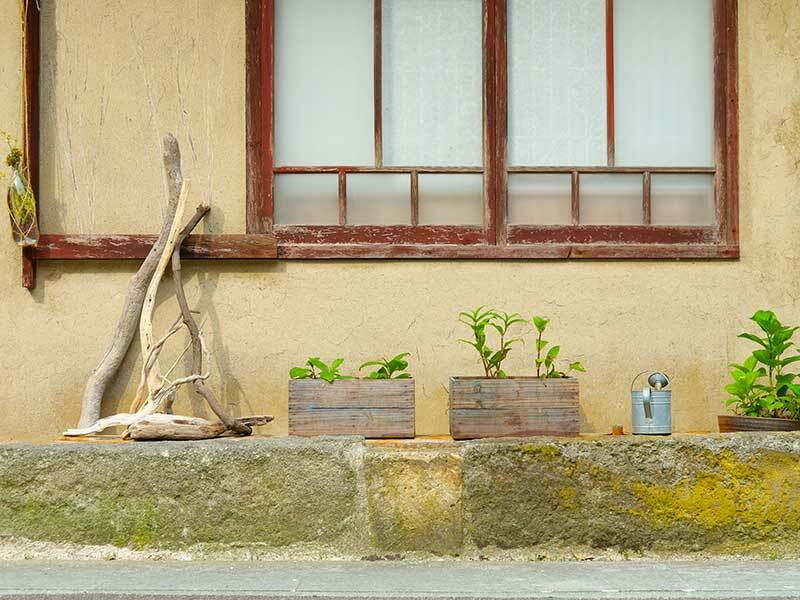 Omori is yet another delightful rural town we visit on this tour. 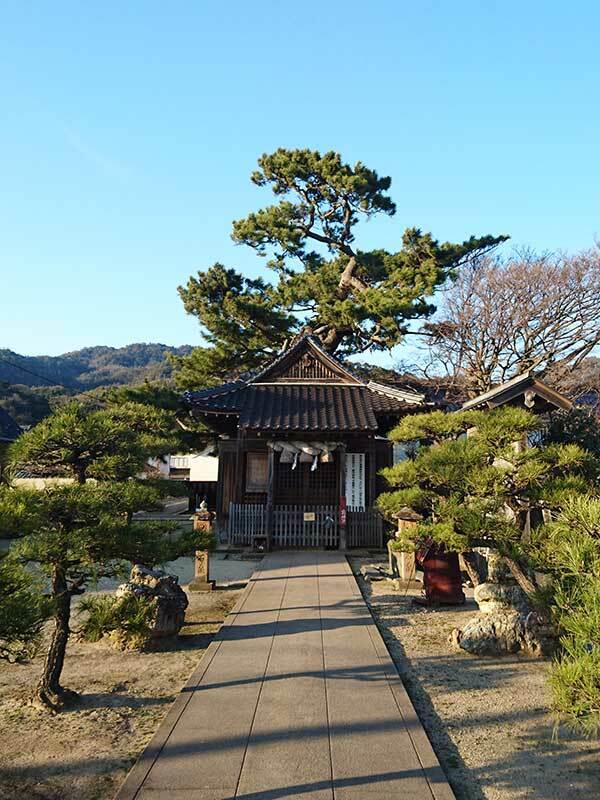 We explore here before moving onto the Iwami Ginzan World Heritage Centre, which has excellent displays on the days when the silver mined here led people on adventures across the world. Finally, we enter one of the hundreds of shafts, one of only two accessible these days, that were driven into the mountains to extract the silver. A small, mossy wooden portal leads into the shaft, itself a long narrow tunnel chiselled by hand. Having learnt a little of the lifestyle of the miners of old we now set out on today’s walk following the historic path porters used to carry silver ingots to Kitamae-bune, Edo Period trading ships, that docked at Yunotsu. Most of our journey is through dense forests, on trails that are occasionally uneven under foot, interspersed with farmsteads. Nishida, which was the sole post town on the route, is the only sizeable settlement we come across. Even this is now a sleepy village, noted today for its scenic backdrop of rice terraces. We pause here to enjoy a picnic lunch we brought with us. A fascinating structure, in fact a pottery kiln 30 metres high taking the form of a staircase, is a sign that we are nearing our destination, Yunotsu, and the welcome onsen baths to relieve the day’s exertions. Tonight we eat out at a restaurant that offers a variety of delicious local dishes as well as some excellent sake. Total walking: 13.5 km (8.4 miles) / 6 hours. Total elevation gain: 503m (1650ft). An early start this morning to journey by train along the rugged, Sea of Japan coast to Izumo, the remote town that is intimately entwined into the mythic legends surrounding Japan’s creation. After nearly a week spent in the mountains, a large and flat plain, where some of Japan’s earliest rice cultivation took place, indicates our arrival at Izumo. Our first stop is the imposing Izumo Taisha. 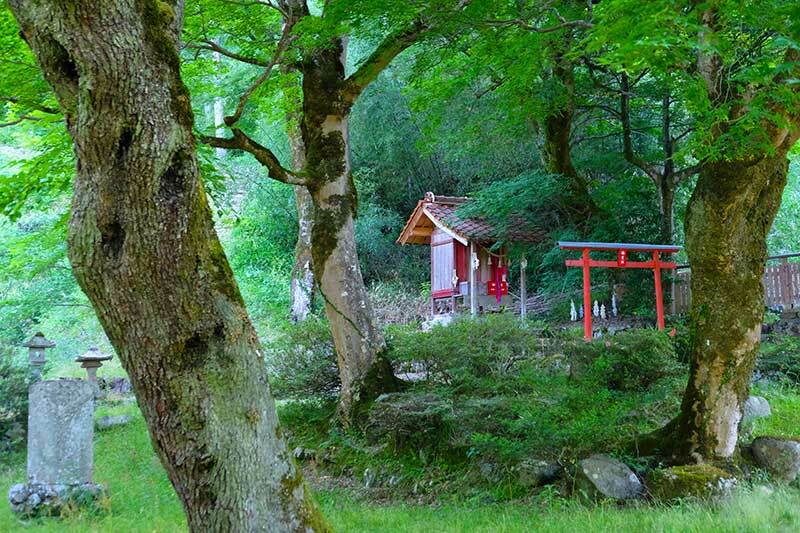 Thought to be one of the oldest and most sacred Shinto shrines in Japan, it is also one of the more remote. 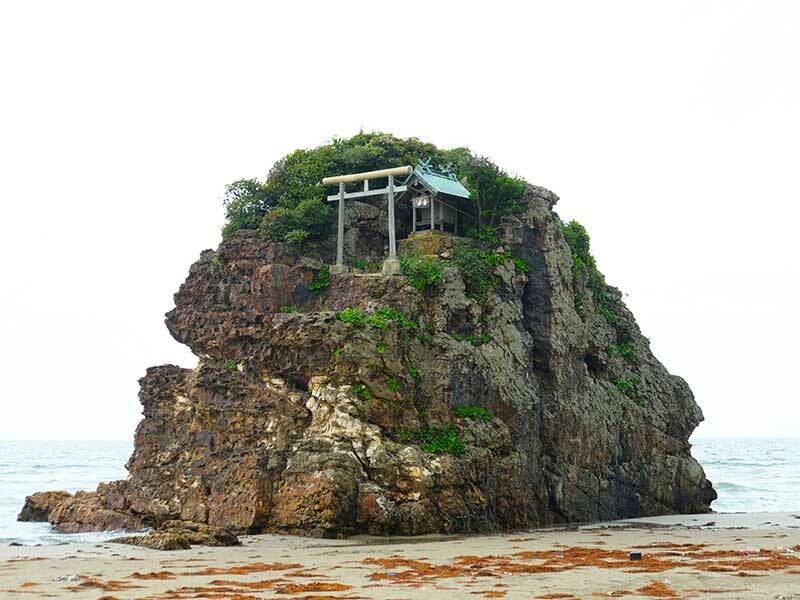 Legend relates that the shrine was built by the sun goddess, Amaterasu, for the kami god who created Japan. 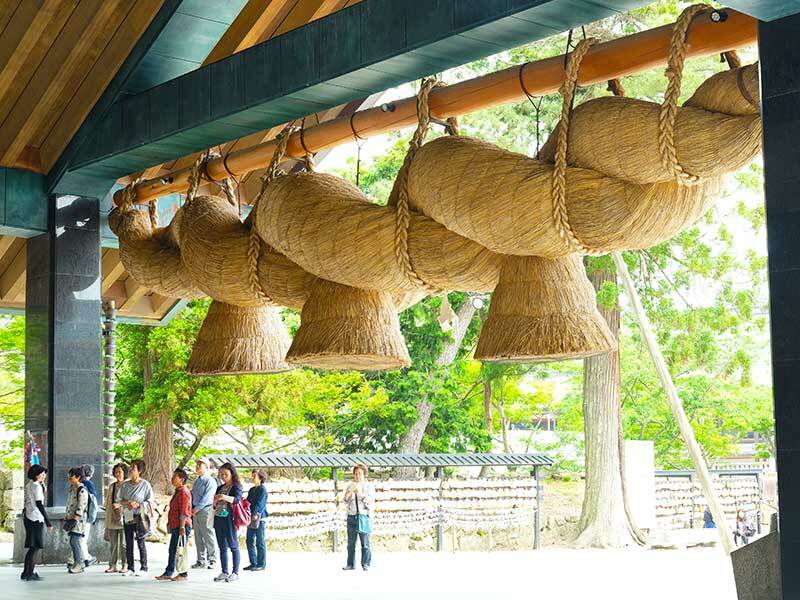 An avenue of pine trees leads to an imposing complex of wooden shrine buildings including a haiden great worship hall across the soaring gables of which is hung a huge shimenawa straw rope. 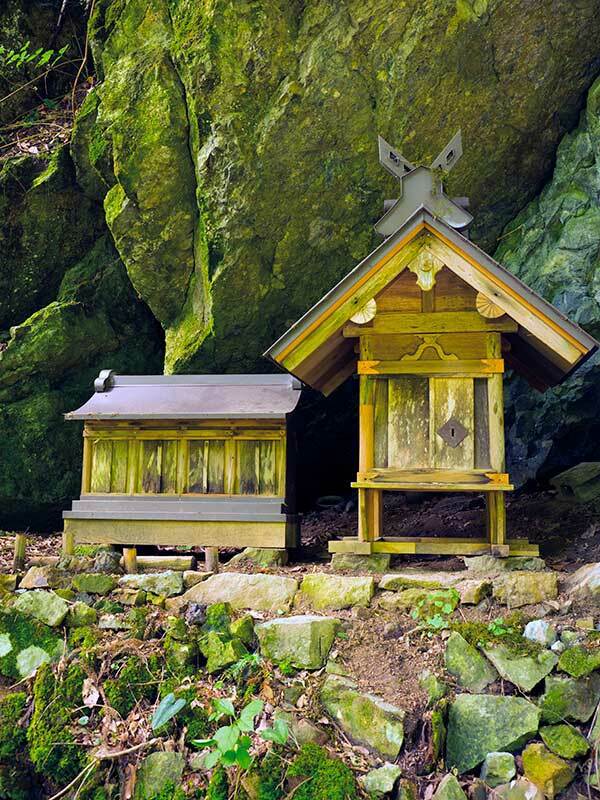 The shimenawa separates divine space from the mortal realm; kami deities from human beings. Beyond is the inner sanctum of the gods, inaccessible to anyone but the shrine’s high priests. Japanese visitors from far and wide come to Izumo every day of the year, but especially so in October when all of Shinto’s eight million deities from across the land also converge here. Nearby is the delightful Tezen Museum, owned by a distinguished local family that once held a hereditary position at Izumo in the shrine’s administration. We visit this small gallery of traditional Japanese arts and crafts in the lively and interesting company of the museum’s curator. The Tezen family home adjoins the museum and, if they are in residence, we may have the opportunity to say hello. Soba buckwheat noodles, usually served in round warigo lacquerware bowls stacked three high, are a regional delicacy and recommended for lunch. Other options for our mid-day meal abound in the town that grew to serve both the shrine and visitors. We board the train again for transfer to the nearby castle city of Matsue, on a journey mostly aside Shinji-ko, a vast lake of brackish water with thriving fisheries of whitebait, eel, sea bass, shrimps, carp and clams. Upon arrival we make our way to Matsue Castle, which still retains its impressive original keep. Adjacent is a small museum dedicated to Lafcadio Hearn, who led an itinerant life both as a youngster and later as a journalist and writer travelling the globe. He spent the last years of his life in Japan and is best known for penning Kwaidan: Stories and Studies of Strange Things and Glimpses of Unfamiliar Japan; books that introduced the nation, which was still largely unknown and exotic to the West in the late 19th Century. Although Lafcadio Hearn, or Koizumi Yakumo as he came to be known in Japan, spent only 15 months in Matsue out of a total of 14 years in Japan he is intimately associated with the city. It left a great impression on him and he wrote paeans to it including praise for the sunset over Shinji-ko. On fine days, locals and visitors alike converge on the lake’s eastern shore to view the evening sky as it fades through hues of gold, orange, red and purple before the light finally disappears into the night. Weather willing, we join them for the spectacle to round off our day before retiring to our accommodation, a modern inn, and dinner. Total walking: 5.5 km (3.4 miles) / 2.5 hours. We leave Matsue by private-hire vehicle for transfer to Oku-Izumo, the mountainous hinterland of Izumo and Matsue, and to Yoshida, another charming rural town that was for centuries at the centre of tatara iron and steel-making in Japan. Prized for its purity and high strength, tatara steel was exported across the country on Kitamae-bune trading ships for use in the forging of the famed swords of Japan, while the iron was used for more prosaic necessities such as cooking pots. The history of tatara production and Yoshida is dominated by the Tanabe family. Tracing its roots back to 1246, it is one of the oldest families in Japan, spanning 24 generations, and still remains very influential in the regional economy. Even though tatara production effectively ceased in 1923 their business did not. Instead, it expanded to include lumber, food processing, property, construction, a bank and TV station. 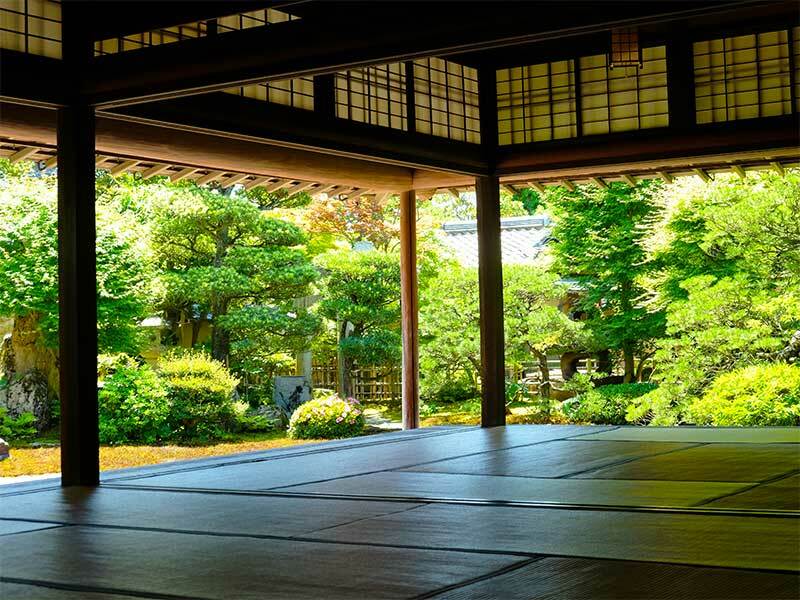 Their ancestral family home, an impressive collection of period buildings and storehouses situated in beautiful gardens, still exists in Yoshida, and we are invited in to learn about tatara, Yoshida and the Tanabe history. After exploring the picturesque streets of Yoshida, we find the old path leading to Takadono, where the tatara furnaces once stood. The last walk of our tour together is along an undulating trail through woodlands. In hand we carry bento lunch boxes, kindly provided by the Tanabe family. 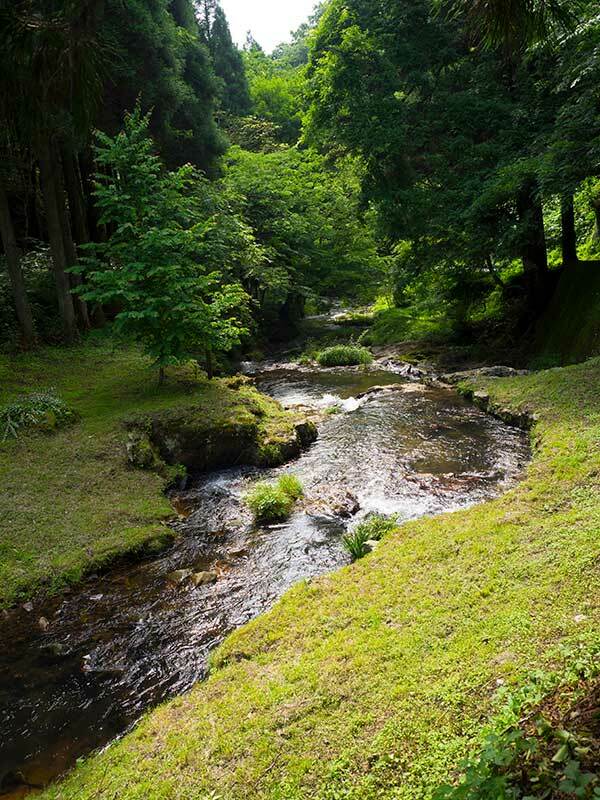 At its height, Takadono would have been a scene of intense industry but today it is a gorgeous hamlet set in the bottom of a narrow, forested valley. 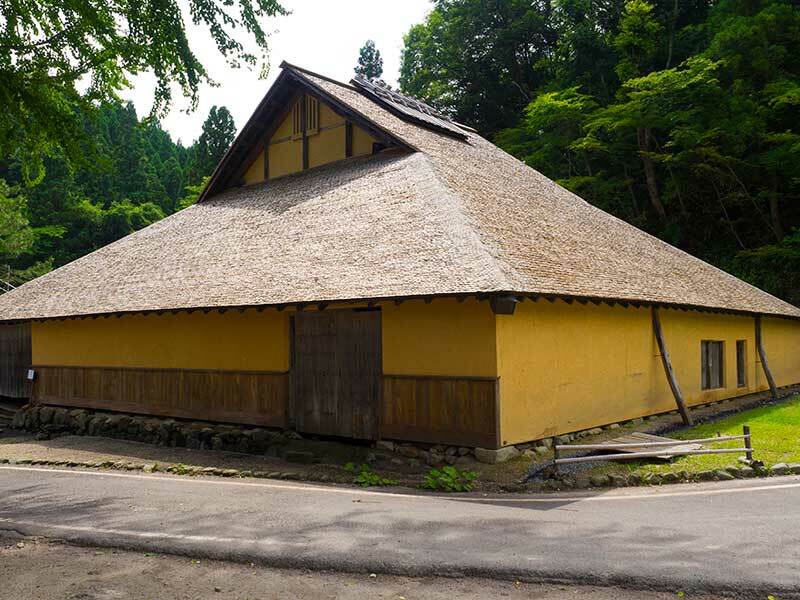 The Tanabes have invested in the reconstruction of a traditional tatara furnace housed in a large shingle-roofed building that blends beautifully into its surroundings. Rejoining our vehicle we travel to Hiroshima, where we stay the night in a hotel. Belying its traumatic past, Hiroshima is a vibrant city and we enjoy our last dinner together in sumptuous style at a popular restaurant. Total walking: 9.2km (5.7 miles) / 3.5 hours. Total elevation gain: 296m (971ft). The tour ends after breakfast in our hotel. Onward transport to Fukuoka, Osaka, Kyoto, Nagoya and Tokyo is easily made by Shinkansen bullet train or by air from Hiroshima Airport. The itinerary for the San’in Quest is ground-only beginning at Shin-Yamaguchi Station and ending in Hiroshima. The airports closest to the tour start are at Kansai, Fukuoka and Hiroshima. The journey is also easily made from Nagoya’s Central Japan Airport, and both Tokyo’s Narita and Haneda International Airports. JR Haruka Express trains depart for Shin-Osaka Station. Transfer here to the Shinkansen bullet train for Shin-Yamaguchi. The total journey is between 3 hours and 3 hour 30 minutes. Buses depart every 60-120 minutes for Fukuyama Station. Change here to the Shinkansen bullet train for Shin-Yamaguchi, which is a 60 to 90 minute journey. A taxi from Fukuoka Airport’s International Terminal is the simplest and, at 10 minutes, the fastest way to travel to Hakata Station, Fukuoka’s main station. Transfer here to the Shinkansen bullet train for Shin-Yamaguchi, which is a 30 to 70 minute journey. Meitetsu trains depart for Meitetsu Nagoya Station. Change to the neighbouring JR Nagoya Station for onward journey by Shinkansen bullet train to Shin-Yamaguchi. The total journey is approximately 3 hours 30 minutes. Tokyo Monorail trains depart for and terminate at Hamamatsu Station. Transfer here to the trains on either the JR Yamanote or JR Keihin-Tohoku Lines for Tokyo Station. To Himeji from Tokyo Station please see the section below. JR Narita Express (NEX) trains depart every 30 minutes for Tokyo Station. To Shin-Yamaguchi from Tokyo Station please see the section below. The journey to Shin-Yamaguchi is made on the JR Tokaido Shinkansen, one of the super-fast bullet train lines. The journey is between 2 hours 30 minutes and 3 hours 30 minutes. The Pre-tour Pack includes detailed instructions, including a map, for travel to the accommodation at the start of the tour. Single supplement: Available on a limited basis at JPY36,000. Please contact us for more details. Included: Walk Japan tour leader; 8 nights' accommodation; 8 breakfasts, 2 lunches and 8 evening meals; luggage transfers; entrance fees; travel from tour start point to tour finish point. Group size and guarantee: The maximum group size for this tour is 12 persons. We have no minimum group size. If we accept a booking we guarantee to run the tour. See Booking Conditions.